If you hit a diamond with a hammer, it’ll shatter into a dozen pieces. If you hit a piece of quartz with a hammer, it’ll split in two. If you hit a piece of jade with a hammer, it’ll ring like a bell! That's an old jeweler's saying. We all know that diamonds are the hardest gemstones. So can a genuine diamond really shatter? What if it's dropped onto the floor? What about other gemstones? I read in the Amazon forums that a buyer felt that their gemstone necklace was "fake" because the stone broke when she dropped it onto her tile floor! She felt that only something that was glass would break from dropping it onto a hard floor. She expected a refund, and the jewelry seller sought advice from other Amazon sellers, most of whom aren't jewelers. Some of the responses were in favor of the buyer (they "didn't know if genuine gems would ever break"), and others in favor of the seller. 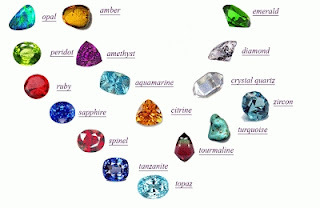 So I thought I'd write about gemstones, their hardness, and their wearability. The "hardness" of a gem is only one factor in determining a gemstone's durability. 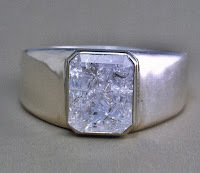 Gemologists take into consideration other factors: ability to withstand heat, light, chemical exposure (household cleaners etc. ), and humidity, stone treatments, gem cleavage, and even the cut of a gem. So gemstones are evaluated by (1) hardness; (2) toughness; and (3) stability. All of these factors should be weighed when deciding which gemstone is right for you. This is a really misunderstood and confusing term. In gemology, the word "hardness" has a different meaning---it simply means the ability to resist scratches and abrasions, and nothing more! So really the hardness of a gem is measured by its "scratchability". Glass is about 5.5 on the Mohs scale so anything harder can scratch glass (not just a diamond!) including a CZ or quartz. 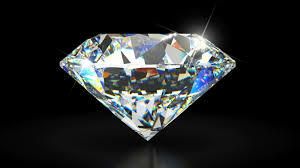 Only a diamond can scratch itself and all other gemstones. The most important number on this scale is 7--quartz. Why? Because quartz is the most common mineral on earth, and tiny flecks of quartz are constantly airborne (all the little specks of "dust" in the air are mostly quartz particles!) and so any gem with a lower Mohs grade than 7 will be easily scratched just by dust! This is why it's advisable to rinse your jewelry off under water before rubbing it with a cloth--to avoid scratching it. Each one of these minerals can scratch the one below it, and can be scratched by the one above it. And the scale isn't linear, but is relative----Corundum (9) is twice as hard as topaz (8), and diamond (10) is four times as hard as corundum. And with the mineral Kyanite, the hardness can vary within one crystal from 4 to 7.5! 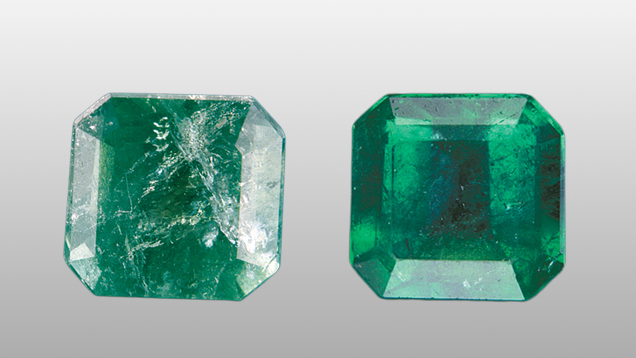 There are also many minerals that are rated halfway between numbers, such as tourmaline which can range from 7.0 to 7.5. This is the ability of a gem to resist breaking and chipping. There is a Gemstone Fracture Toughness Scale that measures the work required to separate a gemstone along a cleavage plane. 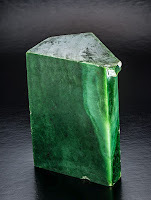 Values run from 600 (corundum) to 225,000 for nephrite jade. Diamonds are rated at about 5,000-8,000. A diamond is the hardest gemstone on the Mohs scale, but is also brittle. The steel of a hammer won't scratch the diamond, but hitting it with the hammer will shatter it. Daily wear of a diamond, with all the things the diamond will rub against and clunk against, over time will scratch the stone. "Wearability" (also referred to as "toughness" or "durability") is the degree in which a gem will show wear. Gems with a hardness of 6 (such as Opal) will quickly loose their polish due to tiny scratches over time. Gems softer than Quartz (7) will lose their polish just from simply cleaning it over time. Gems with a Mohs rating of 7 and up are considered very wearable a suitable for everyday wear. Wearability is graded as Excellent, Very Good, Good, and Poor. Opals have a "Poor" wearability rating, which means it should be saved for special occasions or set in protective settings. So.....a gemstone's "durability" is a function of its resistance to scratches (hardness) + resistance to breakage (toughness) + other special properties such as cleavage planes (or in the case of jade that "rings like a bell" mentioned at the top---an interlocking structure that makes it very tough.) Certain gemstone cuts, like marquise, are more prone to chipping, as are gems that are loose in their settings. Just because a gem is hard doesn't always mean its wearability is "excellent." Some gems are sensitive to chemicals, temperature changes, or even sweat! Diamonds are very stable, but can also break when exposed to extreme temperature changes. "Thermal shock" is the term that describes the damage that can occur from extreme temp changes. Some gems are vulnerable to humidity changes. 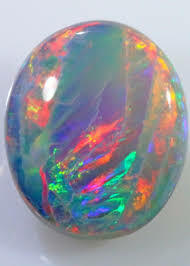 Opals can lose their moisture in dry conditions and crack. Some gems can absorb water---malachite, amber and azurite. 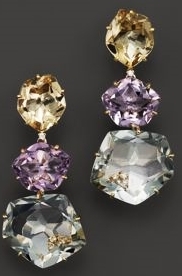 Some gemstones can change or lose their color when exposed to light---amethyst, citrine, prasiolite, kunzite and topaz can fade when exposed to prolonged sunlight. Organic gems can be ruined if exposed to prolonged light and heat---amber, coral, pearls, jet, and ivory. Enamel can also be ruined when exposed to heat. Chlorine and perfumes and makeup are chemicals that can also damage or discolor some gems, such as pearls. Chlorine can also damage gold mountings! Ammonia will damage the shine on turquoise, malachite, and coral. Turquoise can easily absorb all sorts of oils and chemicals. Some gems are coated. Some are facture-filled which can be damaged from heat and exposure to heat or solvents, like alcohol, or damaged from ultrasonic cleaning. Gemstone hardness alone isn't a measure of a gem's toughness or wearability. There are many other factors to determine how well a particular gem will wear over time. So regarding that woman's assertion that "only a fake gem would break"--- she is WRONG. Any gemstone can break when dropped onto a hard surface like a tile floor, including a diamond. Some manmade stones, such as the Cubic Zirconia with a Mohs hardness of 8 or 8.5 or Moissanite with a Mohs hardness of 9.25, will resist scratches and chips better than most other gemstones. Most gemologists or great websites such as the GIA will list each gemstone's Mohs rating, plus wearability grades. It's important to always treat your gemstone jewelry with care---don't drop it, bump it, or wear while swimming or doing housework or working around chemicals. Keep jewelry clean and safe while not wearing it. Keep your jewelry in a jewelry box, away from other pieces of jewelry so they don't bump each other. Make sure any prongs are secure and stones aren't loose. This will ensure that your fine jewelry will remain beautiful and last for generations.